Welcome to the Jackson School District Athletics Department page. If you have additional questions or needs, please contact us. Is Your Child a Future College Athlete? 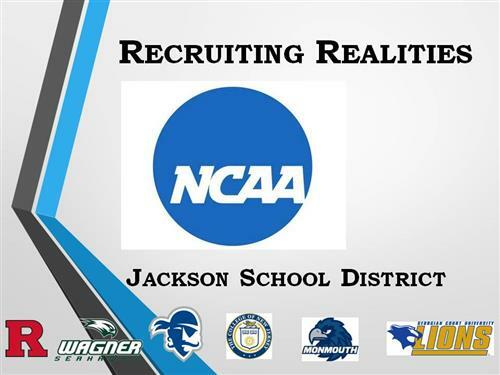 Check out info and tips presented to Jackson from College Coaches! Remember to hand in your completed Pre-Participation Physical Packets to Your Child's Middle School or High School. Also remember, if you are participating in any school sponsored athletic activity that takes place during the summer time (i.e. fall sports) you must have a current athletic physical.